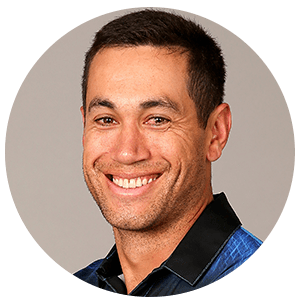 Luteru Ross Poutoa Lote Taylor (born 8 March 1984), more commonly known as Ross Taylor, is a New Zealand cricketer and former national captain for all formats. He currently plays for cricket franchise Delhi Daredevils in the IPL. Considered as one of the best cricketers to ever come from New Zealand, Taylor became the highest ODI century maker for New Zealand surpassing 16 by Nathan Astle, on 22 February 2017, with his 17th ODI century. As of 2017, Taylor has played 81 Tests for New Zealand, scoring 6030 runs from 146 innings with the average of 47.10. He has scored 16 centuries in Test cricket including his highest of 290. In 190 One Day International matches (ODIs), Taylor has scored 6486 runs from 176 innings. He has scored 17 centuries in ODIs and his highest score in the format is 131 not out; he averaged 44.12 in ODIs. Taylor has also represented New Zealand in 73 matches, scoring 1256 runs with highest score of 63. Taylor is of part-Samoan descent, his mother being from Samoa and his father from New Zealand. Taylor was a hockey player before shifting his focus to cricket. Taylor is married to New Zealand women's cricketer Victoria Jayne Brown which was celebrated on 25 June 2011. They have a daughter named Mackenzie, who was born on 24 September 2011 and a son named Jonty who was born on 16 February 2014. Taylor's full name is Luteru Ross Poutoa Lote Taylor; however, some sources have inaccurately recorded his name as Ross Luteru Taylor. This is because Taylor grew up answering to both Luteru and Ross when playing cricket, and did not realise he needed to write down his full name for the official New Zealand Cricket records when he was asked to fill in a questionnaire at a first-class match early in his career. He previously captained the New Zealand Under-19 side in youth internationals. Taylor has a highest List A score of 132* in the State Shield domestic one-day competition in 2003–04, and a first class best of 290 against Australia in the 2015–16 Trans-Tasman Trophy Test series. Taylor was picked up by the Royal Challengers Bangalore in the 2008 Indian Premier League auction. An innings of note was a destructive 81* off 33 balls against the Kolkata Knight Riders in 2009. He was bumper hit in Royal Challengers Bangalore, he was loved for his powerful leg side shots. He had won many hearts of Royal Challengers Bangalore fans while playing for them. In the 2011 auction, Taylor was sold to the Rajasthan Royals. He departed the Rajasthan Royals to join the Delhi Daredevils for the season of 2012. He was traded from Delhi Daredevils where he played a season to Pune Warriors India for Ashish Nehra in 2013. His domestic team in New Zealand is the Central Stags, in 2009/10 he played for the Victorian Bushrangers in the KFC Twenty20 Big Bash as one of two overseas players (the other being Dwayne Bravo from the West Indies). In the 2009-10 HRV Cup Final against the Auckland Aces, Taylor scored a match-winning 80 off 30 balls, and in a partnership with Kieran Noema-Barnett they scored 133 runs from 53 balls bowled. Taylor also hit Michael Bates for 27 in one over, including three consecutive sixes. In total Taylor hit eight sixes and five fours for the Stags. In 2010 he played for Durham in the Friends Provident T20 tournament, his most substantial contribution being a brutal 80 not out from only 33 balls including 3 fours and 9 sixes. Taylor also plays for Delhi Daredevils in the Indian Premier League (IPL) and for his domestic team, the Central Districts Stags. Taylor scored a match winning innings of 81 from just 33 balls for Royal Challengers (RCB) against Kolkata Knight Riders (KKR) to seal an improbable victory for his team in 2009. He has one of the highest strike-rates as an RCB batsman and known to be a 'finisher'. After RCB's win over Delhi Daredevils at Champions League Twenty20 2009, captain Anil Kumble said that Taylor was a "murderer" of spinners, referring to his explosive innings of 65. In 38 balls, Taylor had scored six 4s and four 6s, and was declared Man of the Match. Taylor has also played English cricket for Norwich and Coltishall Wanderers in Norfolk. He was their key player and he was consistent in scoring runs. In 2016, he played for Sussex in the English County Championship. He made his debut for the New Zealand team in international cricket on 1 March 2006, in a one-day match against the West Indies. He became the second male player of Samoan heritage to play for New Zealand after Murphy Su'a. He scored only 15 runs in the match, where New Zealand finally won the match by 91 runs. Taylor is a clean striker of the ball particularly any ball through leg side, and a useful off-break bowler. Taylor scored his maiden one day century in front of a delighted crowd in Napier, playing against Sri Lanka on 28 December 2006. The innings included 12 fours and 6 sixes. Unluckily for him, New Zealand were comprehensively beaten in that game, by blistering knock by Sanath Jayasuriya. He also suffered dehydration and required a short hospital trip during the second innings. Taylor hit 84 against Australia in their opening game in the 2007 Commonwealth Bank series, but lost the match at the end. He has also established one of the most potent no.3-no.4 top order partnership with Kane Williamson since the latter made his debut. However, they were also involved in 12 run outs across all forms of international cricket as of 26 January 2015 when they are both on the crease. Taylor scored his second century in his ODI career on 18 February 2007 against Australia. He scored 117, the 2nd highest score by a New Zealander against Australia at that time. He scored his maiden Test century in March 2008 at Hamilton in the first Test of the 2007–08 series against England and went on to be the leading run scorer for the series. Taylor scored what was then a Test match career-best of 154* against England at Old Trafford in May 2008, a brilliant innings including 5 sixes and 17 fours. His third Test century, an innings of 151 runs off 204 balls, came against India at Napier in March 2009. His fourth Test century, in the next Test, was a 107 which delayed India's victory long enough to force a draw. Taylor captained New Zealand for the first time in an ODI against Australia in Napier on 3 March 2010, when Daniel Vettori dropped out of the side less than 30 minutes before the start with a neck ache. Taylor top-scored with 70 and New Zealand won by two wickets with four balls to spare. Taylor was also awarded the Man of the Match and donated the $NZ 500 prize to the Lansdowne Cricket Club in Masterton. He made his highest ODI score of 131* which came off 124 balls against Pakistan on 8 March 2011 at the ICC Cricket World Cup. His innings included seven (7) sixes and eight (8) fours and contributed to New Zealand making 127 runs in the final 9 overs of the game for their highest total ever against Pakistan (302) in ODI cricket. It is from this match that Taylor earned his nickname 'The Pallekele Plunderer' after he blasted a staggering 55 runs from the last 13 deliveries he faced. With this century, Taylor became only the fourth batsman in history of the game that scored an ODI century in a birthday, after Vinod Kambli, Sachin Tendulkar, and Sanath Jayasuriya. In a match against Australia at Hamilton in March 2010, Taylor made the fastest Test century ever by a New Zealander, bringing up his hundred off only 81 balls. Taylor scored centuries in all three tests in the 2013/14 series against the West Indies. In the first Test, Taylor made his first Test match double-century and highest test score of unbeaten 217 in a composed and classy innings. Taylor's 12th ODI century against Pakistan at Dubai coincides with the 100th century for the Black Caps. The best innings of his life came during the second test of Trans-Tasman Trophy in 2015-16 season in Australia. He scored his first double hundred and became the highest score by a New Zealand batsman in away Tests and in Australian soil as well. With this feat, he also became the first Kiwi batsman to score a Test double-hundred against Australia and the 2nd fastest among his countrymen to reach 5,000 Test career runs (in 120 innings). During the inning, his partnership with Kane Williamson of 265-run for the third wicket, which was New Zealand's highest of all time against Australia for any wicket. Taylor was dismissed for 290 runs with 43 fours. Taylor scored his 17th ODI century during the second ODI against South Africa at Hagley Oval. With this, he became the highest ODI century maker for New Zealand, beating 16 ODI centuries by Nathan Astle. In this match, Taylor also became New Zealand's quickest batsman to reach 6000 runs in ODI as well. 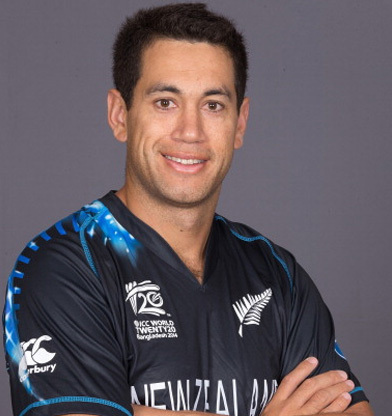 New Zealand finally won the match by 6 runs.Ross Taylor also became only the sixth player in ODI history to score centuries against all test playing nations and first from New Zealand. Taylor has scored 33 centuries in international cricket. He has played 81 Test matches and 190 ODIs for New Zealand and scored 16 and 17 centuries respectively.